The Guardian writes "Business minister Michael Fallon says privatisation of postal service is a 'practical, logical, commercial decision' "
Postal workers delegates at their conference have voted unanimously for a full ballot of Royal Mail workers on a boycott of private mail companies' 'final mile' mail as part of the union's moves to protect the universal service and prevent privatisation of Royal Mail. The regular AGM of the Communications Workers Union South West London Regional Branch (postcodes SW1 To SW20), held at Battersea Delivery Office on 30 April 2013 was abandoned in favour of a meeting about current issues of the Ballot of Boycott of Competitor’s Mail, the opposition to privatisation of Royal Mail, the 2013 Pay Claim, the proposed Colleague Share. Dave Ward, Deputy General Secretary (Postal) and Martin Walsh (London Divisional Rep) addressed the meeting. Dave Ward; “We oppose privatisation. We are talking to senior Labour people and want them to come out in opposition to privatisation. Last time we were negotiating with Mandelson." Humanity made an enormous leap forward when it was able to industrialise food production, freeing most of the population to work on other things, allowing enormous population growth and innovation. But in recent years we have seen rising commodity prices and shortages of some key crops. There’s enough food in the world for everyone, but one person in eight still goes hungry every night, and 2.3 million children die needlessly each year from malnutrition. If you’re the one in eight, there’s a good chance you’re a small-scale farmer living in a developing country, because these farmers make up three-quarters of the world’s hungry. They work hard to cultivate plots of land of just two hectares or less – equivalent to two or three football pitches – in an attempt to feed their families. Most can't manage to grow enough food to do so adequately. This need not be the case. These small farms are a vast, under-used resource, dominating the agricultural landscape in many developing countries and producing 80% of the food supply. In Bangladesh, 96% of farms are two hectares or less; in Ghana the figure is 85%; in India 82%. Unlocking their potential is an essential way to end hunger. Small-scale farming has environmental benefits. Smallholder agriculture tends to include a mix of plants, trees and animals, which helps sustain local ecosystems, and appropriate small-scale farming practices can both protect and rejuvenate the environment. Why hasn't Quantitative Easing caused inflation? Often Socialist Party analyses are confirmed by other observers. His point is that "quantitative easing" (QE) has not led to an increase in money in circulation and so has not done any of these things. This reflects the view of the SPGB’s discussion at its recent annual conference that QE had not led to inflation/currency depreciation/a rise in the general price level (all different ways of describing the same thing). Economics textbooks and official statistics have various definition of money, ranging from "base money" (formerly M0) through M1, M2, and M3 to M4 (which is base money plus various degrees of bank lending and so what they call "credit money" or "bank money"). The difference is that while M0 (base money) is issued by the government, M1. M2, etc depend on how much banks and other financial institutions lend. Under QE, or to give it its official name the Asset Purchase Facility, the Bank of England buys bonds (mainly government bonds) off banks and other institutions and pays for this with "reserve balances". So what happens is that this part of base money increases, but the part that causes inflation if issued in excess of the economy's requirements does not. In other words, QE does not increase "money in circulation". That's why it hasn't caused inflation. It hasn't led to an increase in M1, M2, etc either, as the Bank may have intended, but that's because, with a depressed, flat-lining economy, the opportunities for commercial banks to lend has not increased. Also, the amount of notes and coins in circulation has increased as part of the official policy of trying to create 2% a year inflation, but this has nothing to do with QE. Dock workers in Hong Kong earn on average 18,000 Hong Kong dollars ($2,300) a month, which is about one-third the rate of their counterparts in Australia. They complain salaries have stood still since 2003, while prices of property and other goods have skyrocketed, and the workers are asking for a 20% pay increase. The contract workers have little protection under local law. One contractor has already informed workers that due to the strike, it will close later this year, so they will lose their jobs. Behind the outsourced contractors, the ultimate boss is Hongkong International Terminals (HIT), which is owned by Li’s Hutchison Whampoa. One reason for conflict is the level of power Hutchison and a handful of other local companies that control key industries exert. The dock workers’ plight resonates with an increasingly large swathes of the local population see themselves in the same boat — squeezed by ever-rising living costs and stagnant wages. The median wage for an adult male in 2011 stood at HK$13,000. That represents an increase of just HK$1,000 or 8.3% in the 10 years from 2001. And now, many find real wages are being eaten away by rising prices. Consumer prices grew 4.4% year-on-year in February, amid signs inflationary pressures are again building. Expect a lot more people asking for a 20% pay rise, just so they can afford to keep living in Hong Kong. Chinese workers are slowly and painfully improving their pay and conditions. But that is true only for formal workers. What many fail to note are the perilous conditions of China's temporary production workers and the increased tendency among Chinese factories to use such workers to manufacture the brand-name products that fill your home. Factories supplying Apple and Samsung, for example, make heavy use of temp workers. According to official statistics, temp workers make up 20 percent of China's urban workforce of 300 million, though the proportion in individual factories often tops 50 percent. The average migrant worker's $320 monthly salary in 2011 was actually 43 percent less than the $560 national average, according to government statistics. The two most common Chinese terms for temp workers are linshigong , literally “short-term workers,” and paiqiangong , “dispatch workers.”. Temp workers in China are primarily recruited and assigned via laowu paiqian gongsi , “labor dispatch companies.” These are similar to staffing agencies. Labor dispatch companies are often the channel through which child workers—under the age of 16 in China—end up in factories. Dispatch companies charge workers $50 to $100 in service fees, so to the company a child worker is simply another source of revenue. As in the West, temp workers in a Chinese factory do not receive any type of insurance from the factories, leaving them with neither a health care safety net beneath them nor a retirement net ahead. Unlike formal employees, temp workers are often paid less and do not usually receive insurance. If they are injured on the job, they must depend on their own meager savings, those of their economically disadvantaged families, or the benevolence of the factory. If a worker wants to take a job-injury or rights-violation case to court, her legal standing is diminished because she lacks a contract with her employer. Businesses gain considerable cost-saving benefits by using temp workers in their factories. Temp workers do not sign a contract with the factories, relieving the company of responsibility for providing these workers with the five types of insurance mandated by Chinese law. In a mid-sized factory with 500 temp workers, the company could save tens of thousands of dollars per month in insurance payments alone. Another long-term benefit for companies is that they do not have to employ veteran workers who might require higher pay. Rather, the company can let temp workers come and go, then hire the next batch of cheap young temps. In cases where workers are injured, the company is less likely to be forced to pay compensation because the worker does not have evidence of a contractual relationship. Finally, factories can skimp on making their facilities more pleasing for workers since the workers are not expected to stay. Article 68 of Chinese labor law defines non-full-time workers as those employed no more than 24 hours per week and an average of four hours per day, filling a company 's short-term temporary needs. But the reality is that such workers do more overtime than the law permits, lack a contractual relationship with their employers, and are often paid sub-minimum wages. The text of Chinese law is generally pro-labor. But in reality, collusion between local government and business interests—and the oiled gears of bribery—has led to lax law enforcement. 56% of domestic terrorist attacks and plots in the U.S. since 1995 have been perpetrated by right-wing extremists. Socialists explain through the Labour Theory of Value how the worker is robbed. But the fact is that theft from the worker by the employer can be even more blatant. In America unpaid overtime alone costs workers at least $19 billion per year. 26 percent of low-wage workers got paid less than the minimum wage. 76 percent of workers toiling over 40 hours were denied overtime. Workers lose an average of $2,634 a year due to these and other workplace violations. The Department of Labor is supposed to enforce fair labor practices, but currently, there are only 1,000 enforcement officers protecting 135 million workers. People hired for jobs as day-laborers like yard work and domestic services in which the employer pays cash are denied social insurance like Social Security, and often what’s paid doesn’t add up to minimum wage. Undocumented workers are exploited by wage thieves who use deportation as the threat. Some employees are paid for piece work, like the number of shirts produced in a garment factory, and get cheated when the tally falls below minimum wage. Another common form of theft is the “last paycheck” scam in which a worker is either fired or quits and finds that her final wages are withheld. Low-wage tip workers are frequently the victims of theft in which the boss illegally keeps tips or makes you pay for your uniform or a ride to the job site. Misclassifying workers as independent contractors means the business doesn’t pay overtime, employer contributions to Social Security and Medicare, or unemployment insurance. Temporary and seasonal workers are especially vulnerable. The construction and trucking industries are notorious offenders, but payroll fraud impacts people like engineers, financial advisers, adjunct professors, and IT professionals. 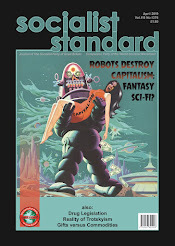 High unemployment and economic inequality has made workers expendable in the great capitalist machine. Union-busting, globalization, outsourcing, downsizing, and recession have increased opportunities for employer predation. With high unemployment people are terrified of doing or saying anything to jeopardize jobs, no matter the abuse. The bosses maintain the upper hand. Regular visitors to the SOYMB blog will be well aware that it has often posted about the pharmaceutical industry, exposing Big Pharm’s drive to accumulate returns rather than save lives. We are now joined by a group of more than 100 leading cancer physicians from around the world, including nine from the UK, who accuse the drug industry of “profiteering” – making a profit by unethical methods and effectively condemning patients to death. Of the 12 drugs approved by the Food and Drug Administration in the US in 2012, 11 were priced above $100,000 (£65,000) per patient per year. In addition the price of existing drugs of proven effectiveness has been increased by up to threefold. Imatinib, brand name is Glivec, has proved so successful in chronic myeloid leukaemia that patients who a decade ago survived for a few years can now look forward to a near-normal life expectancy. But the cost of Glivec has risen from £18,000 per patient per year to around £21,000 in the UK, and from $30,000 to $92,000 in the US. This is despite the fact that all research costs were covered by the original price, and the number of patients treated and the length of time they are on the drug have both vastly increased because of the drug’s success. Daniel Vasella, former chairman and chief executive of Novartis, the manufacturer, said the original price charged for Glivec in 2001 was considered “high but worthwhile” and was estimated to yield annual revenues of $900 million, enough to cover its development cost in two years. A decade later Its annual revenues in 2012 were $4.7 billion (£3 billion). Professor Jane Apperley, chair of the Department of Haematology at Imperial College said high drug prices were a cause of harm in Britain. Sorafenib tosylate is a drug for liver cancer patented by German pharmaceutical company Bayer and marketed as Nexavar. Bayer priced the drug at nearly £3,500 per month which drug regulators say is "simply too high" to justify making it available on the NHS. Until March last year, India - a country where half the population live on less than £1 per day - had no choice but to pay this sum for patented Nexavar. But to ensure affordable access, the country has since granted a compulsory licence clause that cuts the cost of the drug by allowing another company to manufacture the therapy, even though it is still under patent. This has slashed the price of the drug by an astounding 97% - generic versions of sorafenib in India cost around £84 per month. Bayer has refused to provide details on how much it invested in Nexavar's research and development, the cost of which was partly subsidised by the US government. The only figure Bayer was prepared to refer to was the $1 billion general R&D price tag that GSK Chief Andrew Witty recently called "one of the great myths of the industry". The solution although is not cheaper priced medication but the end of prices and the introduction of production for need, and not for profit. There are 2,160 billionaires globally with a total wealth of $6,190 billion. This group of billionaires, representing the top 1.2% of the world's ultra high-net worth population, controls 24% of the total fortune attributable to the ultra-wealthy. On average, these billionaires are worth $2.9 billion each. Every year more people are killed at work than in wars. Most don’t die of mystery ailments, or in tragic “accidents”. They die because an employer decided their safety just wasn’t that important a priority. 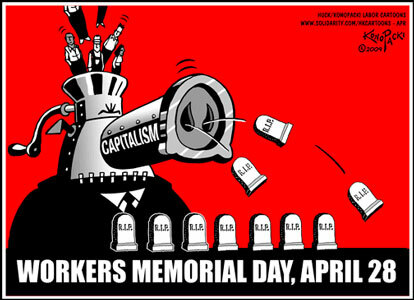 Workers’ Memorial Day commemorates those workers. The day is also intended to serve as a rallying cry to “remember the dead, but fight like hell for the living”. In recent days, we have witnessed the needless deaths of workers at opposite ends of the globe in Bangladesh and in Texas. The ILO reports that although workplace injury deaths had fallen between 2003 and 2008, there had been a dramatic increase in deaths from work-related diseases. In the UK, the Health and Safety Executive is been shackled by funding cuts and safety rule relaxations. The government says workplace safety laws hold back the economy. But it’s a cynical lie. The arguments are bogus and the statistics behind them are rigged. In Australia it is workers, not employers, who overwhelmingly bear the costs of workplace injuries and diseases, an official Australian report has shown. The report by Safe Work Australia revealed three-quarters of the costs of workplace injuries and diseases is borne by the injured workers themselves, with just 5 per cent borne by employers. In America a study that revealed the annual “economic burden” of occupational injury and illness in the US is at least $250 billion (£160bn) is actually an underestimate of the true costs, government workplace health researchers have revealed. 5,500 workers a year die from work-related injuries or sickness. In Canada since 2000 there has been approximately 10,000 who have died because employers have failed to keep their work-places safe. Globally more than 2 million die each year from occupational injuries or illnesses. Hazardous substances kill 440,000 a year and asbestos alone claims 100,000 lives. In previous blogs SOYMB has highlighted how unreliable the Bible is as history. Modern scholars are now re-assessing ideas that were taken for granted. The commonly accepted narrative considers the Jews to be descended from residents of the Kingdom of Judah who were exiled and returned to their native land – the modern-day State of Israel – only after thousands of years of exile. In contrast,others support the theory that the Jews are descended from different peoples who lived in various regions in the Mediterranean Sea Basin, and who converted to Judaism in different eras. According to that theory, the story of the exile from Judah, the exilic life led by Jews in the countries of the Diaspora and their continual longing for their native homeland can be considered a myth. The exile of the Jewish people has played a central role in Christian and Jewish theology for nearly 2,000 years, even being mentioned in Israel's national anthem and its declaration of independence. But what if the exile never actually happened? A documentary, by Israeli film-maker Ilan Ziv, examining the evidence that the Jewish exile from Jerusalem in AD 70 claims it may never have actually happened. It giveS the lie to Zionist claims that, in creating Israel, Jews were "returning" to the Promised Land. If they were never exiled, how could they be returning? And if they never left, would that not make the Biblical Jews today's Palestinians? How do you know when politicians are lying? You can see their lips moving! Most people are fed up with politicians. Millions do not vote in elections. In fact, thousands of people discard election leaflets before even reading beyond the first few lines because they think it's just some more political trash from leaders looking for gullible followers. We'll not promise you much in this blog, but we can promise you that we don't want you to follow the Socialist Party. In fact, what we are talking about can't be brought about by leaders or politicians but only by people acting for themselves—for a change. When we talk about change we mean real change. Isn't it time that society was run differently? Aren't you tired of the same old problems: poverty, pollution, unemployment, homelessness, inadequate services, more wars, more children starving to death, a no-hope society? All these problems stem from one root cause. The politicians are elected to run a system. And the golden law of the system is PROFIT FIRST, PEOPLE SECOND. This is how capitalism works whoever runs it. The Socialist Party could run it no better than the rest. And that is why we don't seek to do so. We want to see the system ended. And only you can end it. First, who we aren't. The Socialist Party is not the Labour Party. They say that they are out to run the profit system in the interest of everyone. But the profit system can only work by exploiting the workers. 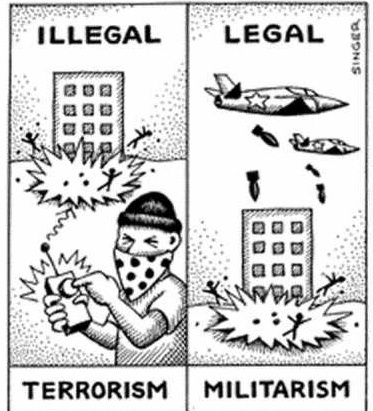 Profits come from the legalised robbery of the wealth-producing majority. (Muggers are mere amateurs compared to the so-called Captains of Industry—the capitalists.) Labour is out to run capitalism; Socialists want to end it. We are not the Communist Party (who we've opposed from the outset) or some Trotskyist sect who are out to "lead the toiling masses". We reject such stupid arrogance. Workers are able to think and act for themselves. We can and so can you. 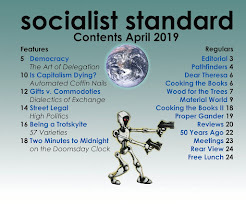 Socialism, as we understand it, has nothing to do with state dictatorships like the one that used to exist in Russia and still exists in China. If that's Socialism, then we are against it. In fact, all it ever added up to was state-run capitalism. The Socialist Party is a movement of and for workers. We are not here to make the millionaires richer. The vast majority of people own little more than their abilities to work. We are part of that majority. We say that the world (not just Britain or Europe) should belong to us all. Why should we be tenants in a world owned and controlled by a small, exploiting minority? Why should we have to sell ourselves to them for wages and salaries? Why should their profits come before our lives? The Socialist Party seeks to change all this. But, unlike other parties, we don't seek to change things for you. We have no leaders. If you join the campaign for socialism it will be because you want to play your part in changing society yourself, not because you want a leader to do it for you. Thousands of workers will be read this blog — a no-compromise call to get rid of the profit system. If you think that we are wrong, then tell us why. We'll argue with you, but we'll listen to what you think. If we're right—or may be right— or worth knowing more about—it's your duty to yourself to play your part in changing the world. Socialists stand for a world where all resources are owned in common—where social affairs are decided democratically, not by the few with big money—where production is solely for use and not for sale or profit—where we work for the common good, not because we have to earn a wage or salary—where markets and money are things of the past. Think about it —it will be a real change. When a majority understands and wants this new way of running society we can bring it about democratically. Who can stop the majority, who already run society from top to bottom through our work, from taking it into our own hands? It will be the most exciting change in human history. We are not asking you to fight on the streets, but to fight with your brains—they are the most valuable weapons workers possess. The politicians expect you not to use them. We hope that you will. According to George Galloway Ed Milliband is “An unprincipled coward with the backbone of an amoeba." But what can we expect from a man who believes the dead can live again. Perhaps, Galloway hopes for a political resurrection? The Guardian reports that the new five pound note will replace the picture of Elizabeth Fry with one of Churchill. Social reformer Elizabeth Fry: “was a major driving force behind new legislation to make the treatment of prisoners more humane”, Elizabeth wrote, "I love to feel for the sorrows of others." Striking miners killed in Tonypandy, South Wales in 1910: “Home Secretary Churchill's role in the events at Tonypandy during the conflict left a negative attitude towards him in South Wales, that still persists. The main point of contention was his decision to allow troops to be sent to Wales. Their presence prevented any strike action which might have ended the strike early in the miners' favour. The troops also ensured that trials of strikers and miner leaders would take place and be successfully prosecuted in Pontypridd in 1911. The defeat of the miners in 1911 was, in the eyes of the local community, a direct consequence of state intervention without any negotiation, and this action was seen as a direct result of Churchill's actions”. Anarchists burned to death in the Sidney Street Siege in London's East End in 1911: “Churchill as Home Secretary arrived on the spot to observe the incident at first hand, and to offer advice. Churchill authorised calling in a detachment of Scots Guards to assist the police. Six hours into the battle, and just as the field artillery piece that Churchill had authorised arrived, a fire began to consume the building. When the fire brigade arrived, Churchill refused them access to the building. The police stood ready, guns aimed at the front door, waiting for the men inside to attempt their escape. The door never opened. Former Prime Minister Arthur Balfour accused Churchill of acting improperly”. 150,000 Allied military casualties in the Gallipoli campaign in 1915: “Churchill as First Lord of the Admiralty planned the naval attack on the Dardanelles. As a result of the military disaster Churchill was demoted to the sinecure position of Chancellor of the Duchy of Lancaster”. 1941 British Air Staff Paper: “The ultimate aim of an attack on a town area is to break the morale of the population which occupies it. To ensure this, we must achieve two things: first, we must make the town physically uninhabitable and, secondly, we must make the people conscious of constant personal danger. The immediate aim, is therefore, twofold, namely, to produce (i) destruction and (ii) fear of death”. Professor Lindemann, British government's leading scientific adviser justified use of bombing to 'de-house' the German worker, he was liked and trusted by Churchill who appointed him to the Cabinet in 1942. His 'de-housing' paper was accepted by Churchill's cabinet and Air Marshall Harris appointed to carry out the task. “The aiming points will be the built-up areas, and not, for instance, the dockyards or aircraft factories”. 'Bomber' Harris: “the aim of the Combined Bomber Offensive should be unambiguously stated as the destruction of German cities, the killing of German workers, and the disruption of civilized life throughout Germany. the destruction of houses, public utilities, transport and lives, the creation of a refugee problem on an unprecedented scale, and the breakdown of morale both at home and at the battle fronts by fear of extended and intensified bombing, are accepted and intended aims of our bombing policy. They are not by-products of attempts to hit factories”. Threats to machine gun strikers in the 1926 General Strike: “Churchill as Chancellor of the Exchequer was reported to have suggested that machine guns be used on the striking miners. Churchill edited the Government's newspaper, the British Gazette, and, during the dispute, he argued that "either the country will break the General Strike, or the General Strike will break the country" and claimed that the fascism of Mussolini had "rendered a service to the whole world," showing, as it had, "a way to combat subversive forces"—that is, he considered the regime to be a bulwark against the perceived threat of Communist revolution. At one point, Churchill went as far as to call Mussolini the "Roman genius... the greatest lawgiver among men." Threats to gas Kurdish rebels in Iraq in 1920: “Churchill as Secretary of State for Air was particularly keen on chemical weapons, suggesting they be used "against recalcitrant Arabs as an experiment". He dismissed objections as "unreasonable". "I am strongly in favour of using poisoned gas against uncivilised tribes to spread a lively terror, in today's terms, "the Arab" needed to be shocked and awed. A good gassing might well do the job”. In a few years time we can expect Thatcher on the £10 note. In 2008 Ex-CEO of Nestlé, the world’s largest foodstuff corporation, Peter Brabeck-Letmathe provided us with an insight into the mind of the multi-national. “Water is of course the most important raw material we have today in the world. It’s a question of whether we should privatize the normal water supply for the population. And there are two different opinions on the matter. The one opinion, which I think is extreme, is represented by the NGOs, who bang on about declaring water a public right.” Brabeck elaborated on this “extreme” view: “That means that as a human being you should have a right to water. That’s an extreme solution.” The other view, and thus, the “less extreme” view, he explained, “says that water is a foodstuff like any other, and like any other foodstuff it should have a market value.”. People have a ‘right’ to water? What an absurd notion! Next thing you’ll say is that child labour is bad, polluting the environment is bad, or that people have some sort of ‘right’ to… life! Imagine the audacity! All that matters is ‘profits,’ and what a wonderful thing it would be to have less people and more profits! Water isn’t a right, it’s only a necessity, so naturally, it makes sense to privatize it so that large multinational corporations like Nestlé can own the world’s water and ensure that only those who can pay can drink. Problem solved! She is the first contestant to have escaped the thrall of a feudal-style land owner who forced his workers to toil in conditions akin to modern-day slavery. Kolhi was once a "bonded laborer," the term used in Pakistan for an illegal but widely prevalent form of contemporary serfdom in which entire families toil for years to pay often spurious debts. Since making her escape in the mid-1990s, Kolhi has lobbied the police and courts to release thousands of others from the pool of indebted workers in her native Sindh province. Like millions of the landless, Kolhi's ordeal began a generation ago when drought struck her home in the Thar desert bordering India, forcing her parents to move to a lusher belt of Sindh in search of work harvesting sunflowers or chilies Kolhi was married as a teenager but her husband fell into debt and she was forced to work 10-hour days picking cotton, gripped by a fear that their landlord might choose a husband for Ganga, her daughter, who would soon be ten years old. One night Kolhi crept past armed guards and walked barefoot to a village to seek help. Her husband was beaten as punishment for her escape, Kolhi said, but she managed to contact human rights activists who wrote to police on her behalf. Officers were reluctant to confront the landlord but they relented after Kolhi staged a three-day hunger strike at their station. More than 40 people were freed. At Azad Nagar, the village for freed workers, provided a glimpse of the timeworn tricks they use to ensure debts keep on growing. Lakhi Bheel produced a scrap torn from an exercise book that declared he had accumulated obligations of 99,405 rupees after toiling for three years. Bheel said he had decided to make a break for freedom after the land owner threatened to sell the family's daughters in return for bride prices. "I didn't eat meat once in three years," Bheel said, adding that shotgun-toting guards had sometimes roughed up workers. "We had to pay half the salaries of the men who were beating us." Kolhi's supporters say the only way to end the oppression in Sindh would be to give destitute workers their own plots of land. But as long as the feudal class retains political influence, talk of land reform remains taboo. The sad fact is that Kolhi has no realistic chance of victory even the May 11 election will offer only a mirage of change to a millions-strong but largely invisible rural underclass. But her beat-the-odds bravado has lit a flame. “The problem with technology merging with food production is that it often hasn't been applied in the interest of health and nutrition but manufacturing efficiency and food industry profits." Deloitte, Ernst & Young, KPMG and PricewaterhouseCoopers have provided the government with expert accountants to draw up tax laws. But the firms went on to advise multinationals and individuals on how to exploit loopholes around legislation they had helped to write, the public accounts committee found. KPMG, staff advised on the development of "controlled foreign company" and "patent box" rules, and then issued marketing brochures highlighting the role they had played. The brochure "Patent box: what's in it for you" had, it said, suggested the legislation represented a business opportunity to reduce tax and that KPMG could help clients in the "preparation of defendable expense allocation". The accountancy giants employed almost 9,000 staff and earned £2bn a year from their tax work in the UK, and £25bn globally, the report claims. MPs found that Revenue and Customs had far fewer resources, particularly in the area of transfer pricing: complex transactions deployed by multinational companies in order to shift taxable profits to low tax jurisdictions. "In the area of transfer pricing alone, there are four times as many staff working for the four firms than for HMRC," the report says. Just a few days ahead of Workers Memorial Day where we remember and mourn those killed and injured in industrial “accidents” we have yet another disaster in Bangladesh. 175 dead and the toll climbing when a factory building collapsed. Over a thousand injured. Rescue operations are still ongoing. The building was not approved by the RAJUK, the authority for Dhaka’s development. On 23rd of April, it developed cracks in some pillars which were considered fatal and the building was ordered to remain closed until further scrutiny by experts from Bangladesh University of Technology. Though ordered to suspend all operations, the factory owners decided to continue working. They had production dead-lines to meet...dead being the operative word in the circumstances. The nine storey structure collapsed in minutes. Around 4,000 workers were working inside. The lives of workers are the least costly of all commodities. In the clothing industry garment workers’ labour is bought cheap and that in turn made their lives cheap. Those workers were simply expendable. Primark’s PR department can issue all their sincerest sympathies they wish. They can promise all the future checks and inspections they want. We have heard it all before. 3.6 million garment workers toil for long hours in more than 5,400 factories, in unsafe and unhealthy conditions. The major High St chains make huge profits exploiting Bangladeshi workers. The multi-nationals will be already preparing their press statement for the next collapsing building or the next fatal fire. The only lesson learned will be how better to deal with the adverse publicity. There were 11 new billionaires in the UK last year, bringing the total who live here to 88. There's no austerity for the richest 100 who saw their combined wealth rise 11.1% to £257billion last year. This tiny minority are worth more money than the poorest 7.4 million households combined, according to Office for National Statistics data. Among the 10 lowest-paid jobs in the UK, only one of them saw an increase in wages above inflation. Three of these jobs suffered a drop in ­earnings, including hairdressers and barbers who earn £7.23 per hour (down 2.6%), and launderers and dry cleaners who are on £6.98 (down 2.3%). But there were even bigger drops for people earning less than the average wage of £12.76 an hour. 4.6 million Texans live in poverty. That was 18.5 percent in 2011. Over one third of them are Hispanics. The poorest twenty percent pay almost 13% of their income in taxes. The top one percent? 3.2. The richest five percent in Texas make an average of $255,800 a year. It’s 14.3 times higher than the bottom twenty percent who make just $17,900. The average income is $53,200. But it’s probably not that impressive when it takes two to earn it. Ranked first in carbon dioxide emissions. Fourth in the amount of toxic releases into its water. Ranked fourth in the release of carcinogens into the air. Fifth in their release into the water. Sixth in energy consumption but thirty-second in efficiency. First in executions, and fourth in the rate of incarcerations. It also is the state where its governor touts the lack of industrial regulation within days of a chemical explosion that killed many. Yes, come to Texas, where, like the West Fertilizer Co., you'll receive only the most minimal fines for decades of flagrantly ignoring regulations, rarely be inspected, and when you cause an explosion killing 15, the governor won't see it as a sign that maybe a few more inspections would have been a good thing. 28 out of 100 Filipino families are living in poverty. They held the center of the city for over five days. By Friday, 60,000 British soldiers were fighting 1,000 Irish rebels while Dublin blazed in flames. The revolutionaries hoped that the country would follow them – but nothing happened. The majority of the casualties, both killed and wounded, were civilians. However the majority of civilian casualties were killed by from artillery, heavy machine guns and incendiary shells, therefore, the British, who used such weapons, seem to have caused most non-combatant deaths. One Royal Irish Regiment officer recalled, " British troops regarded everyone as an enemy and fired at everything that moved". A total of 3,430 men and 79 women were arrested. 90 people were sentenced to death, 15 of those (including all seven signatories of the Proclamation) had their sentences carried out and were shot by firing squad between 3 and 12 May. 1,480 men were interned in England and Wales under Regulation 14B of the Defence of the Realm Act. At first, many members of the Dublin public were simply bewildered by the outbreak of the Rising. In some quarters there was actual hostility and antagonism towards the Volunteers and after the surrender, they were insulted and pelted with rubbish. Volunteer Robert Holland, for example remembered being abused by people he knew as he was being marched into captivity and said the British troops saved them from being manhandled by the crowds. It appears that it was the actions of the British government after the Rising which helped to sway opinion away from indifference or hostility and towards support for the rebels. The execution of the leaders(including a seriously wounded Connolly, executed while tied to a chair) had the opposite effect to that intended. The brutal killings led to a reinvigoration of the Irish Republican movement rather than its dissipation. Some survivors of the Rising went on to become leaders of the independent Irish state and those who died were to be venerated as martyrs. Nevertheless, the historic truth is that the majority of the working class in Ireland refused to participate in or support the rising. The fact also remains that Connolly, although credited as a socialist scholar, failed to appreciate Engels advice that the time for street-fighting, barricades, conspiracies and insurrections had passed. It was now time to recognise as the most immediate tass of the workers’ party was the slow propaganda work and parliamentary activity. Connolly made the glaring error of believing that the British state was incapable of using heavy artillery and so destroying its own property. In fact, the British readily bombarded buildings. To many, Connolly is their archetype class warrior but his was a futile heroism, utterly mistaken in tactics and objectives. Indeed in Erin’s Hope as early as 1897 Connolly had written, “No revolutionist can safely invite the cooperation of men or classes whose ideals are not theirs and whom, therefore, they may be compelled to fight at some future critical stage of the journey to freedom.” which is perhaps why he counselled members of the ICA “In the event of victory hold on to your rifles, as those with whom we are fighting may stop before our goal is reached.” So it would appear that even if the Easter Uprising had been a success, it would only have resulted in just an earlier beginning to the Civil War. As it was, many who had struggle alongside Connolly in the unions accepted the subordination of the interests and aspirations of the working class to the development of an independent Irish state, even to the extent of supporting Fianna Fail, an openly capitalist party. The Irish Citizen’s Army dissolved itself into the Dublin brigade of the IRA. Those who fought alongside him for nothing less than Irish freedom accepted something less than freedom with the partition in 1921. Connolly’s vision of a united movement of Catholic and Protestant workers, North and South did not become a reality. Horacio Cartes, a millionaire cigarette and soft drink magnate won Paraguay's presidential election. Cartes touted a pro-business agenda. He also compared gay people to monkeys and threatened to shoot his son’s balls off if he discovered his son was gay. One of the country's richest men and a member of the "tiny elite that controls just about everything in Paraguay. About 1 percent of the population controls 77 percent of the arable land. Cartes has been linked to drug running and money laundering by his critics, but he has never been charged with those crimes and denies any wrongdoing. In the 1990s he spent time in jail on suspicion of foreign-exchange fraud (he was never convicted). In 2000 a plane loaded with cocaine and marijuana was found on land he owns. A cable published in 2011 by Wikileaks suggested that America's government suspected him of money-laundering and involvement in drug-trafficking . Brazil's Congress has accused him and other Paraguayan cigarette manufacturers of supplying their country's vast black market: Paraguay produces 45 billion cigarettes a year, nearly ten times what it consumes and exports legally. In Asunción, the capital, the first of the televised debates between the presidential candidates was twice interrupted by power cuts—even though Paraguay is the world's biggest producer of hydropower. Paraguay's poverty runs near 40 percent and per-capita gross domestic product was just $5,413 in 2011, the second-lowest in South America behind only Bolivia. Taxation is highly regressive, with four-fifths falling on consumption. The previous government managed to raise income tax to 10% for incomes above 120 times the minimum wage! Hardly crippling! The United States is an unequal society. The top 20% get about half the nation’s income, compared to the 5% of all income shared among the bottom 20% of households. The top 10% of the population controls about 70% of the wealth. In the U.S., about 50 percent of variation of wealth and about 35 percent to 43 percent of variation in income of children can be explained by the relative wealth and income of their parents, suggest economists Samuel Bowles and Herbert Gintis. One reason for this tight relationship is that parents who were educated are far more likely to educate their own kids. According to Michael Greenstone and Adam Looney of the Brookings Institution, the median wage of the average American male—employed or not—has declined by $13,000 since 1969. Most of that drop is because of plummeting earnings among those with a high school diploma or less, something that’s highly dependent on your parents. Evan Soltas examined the General Social Survey data and concluded that if your father didn’t graduate high school, you are eight times more likely not to graduate high school yourself—a 22.2 percent chance, as compared to a 2.9 percent chance among kids whose fathers did graduate. The advantages of a privileged background don’t stop at graduation. Tufts economist Linda Loury suggests that half of all jobs in the U.S. are found through family, friends, or acquaintances. Canadian economists Miles Corak and Patrizio Piraino look at how often men end up working at the same company where their father worked, finding that as many as 40 percent have done that at some point. The proportion rises to 70 percent among the top 1 percent in income distribution. This helps to explain why the relationship between the earnings of parent and child is even higher at the top end than it is across the population at large, according to Corak. One-third of successions between chief executive officers in publicly listed companies in the U.S. involves an incoming CEO related by blood or marriage to the old CEO, the founder, or a large shareholder. It’s particularly hard to explain recent changes in U.S. inequality by using ‘drive’ or ‘effort’ as your rationale. Had growth since 1979 been equally shared, the Center on Budget and Policy Priorities estimates, the bottom 80 percent of Americans would earn more today. The bottom quintile would have $1,300 more in income. Americans between the 60th and 80th percentile would earn $6,500 more. And the top 1 percent would see annual incomes lower by $347,000. Is all of this because the bottom 80 percent of Americans have got considerably lazier since 1979? "I'd rather starve striking than starve working." 2013 is the 100the anniversary of the Patterson Silk Strike. Very little is ever taught in schools about the history of the labor movement. At best, we are taught that some kindly old men in Congress decided one day, out of the goodness of their hearts, to pass laws granting rights and protections to unions and workers. The curriculum overlooks the history of class warfare and struggle. “The silk bosses are robbers. The cars they are driving, the diamonds their wives are wearing, the rich food their families are eating, their winter vacations in Florida's sunshine-all come from the labors of Angelica and twenty-five thousand other silk workers. And when you win the raises you are fighting for," she said, "you'll get back only a little of what you produced. But these raises are just a beginning. The time is coming when you will run these plants for yourselves." On the picket lines, the strikers were subject to daily mass arrest. Many were sentenced to ten or twenty days, some to six months at hard labor. The Paterson Press openly called for violence against the IWW organizers, calling for the formation of a vigilance committee to drive them out of town. On Thursday, April 17, 1913, Modestino Valentino was murdered by private detectives, hired gunmen imported from New York by the mill owners. This man's only crime against the mill owners was that he was standing on his own front porch watching the strikers yell at the scab-herders. He was not a striker, nor was he a member of the Industrial Workers of the World. The insults so bothered the gunmen that they felt compelled to open fire on unarmed workers. In total five workers in all lost their lives in the Paterson Silk Strike of 1913. In spite of the courage shown by the strikers and their leaders, the silk strikers were defeated. Some small concessions were made by a few of the mill owners, but for the most part, strikers went back to work defeated. Some had been replaced by scabs and were never re-hired. It was a financial disaster also, which only further discouraged the strikers. But in the end the strike was lost because the strikers were starving. Let us honor the courage and sacrifice of the Paterson strikers by continuing the struggle. We need to keep in mind a few fundamental things. The business interests aren’t in business to give us jobs. They’re not there to make money for us. They are there to make money for themselves. We are not people to them. We are equipment, a human resource. We are an expense—and the over-riding interest of any business is to cut the expenses. We are no different to them than a computer terminal or a lump of raw material. We are just something else that they have to pay for if they want to make money. Just another thing that they buy as cheaply as they can, use until it wears out or breaks down, then throw away and buy a new one. And when they buy a new one, they don’t care what color it is or what language it speaks or what country it comes from. All they care is “Can it make me money better than that one over there?” The business interests have never GIVEN us a goddamn thing. Everything we have, we have because we organized for it, we fought for it, and very many times, we died for it. And we will never forget that. "My travels as a Communist speaker have taken me all over the country. I saw the fruits of a lawless, aggressive, brutal and ruthless capitalism which garnered profits for a few at the expense of the many. Our country is a rich and beautiful country, fully capable of producing plenty for all, educating its youth and caring for its aged. We believe it could do this under Socialism. I saw great forests cut down and the denuded land left with blackened stumps; miles of top soil blown and washed away, and fertile fields became like a desert. I have seen textile workers who wove beautiful woolen fabrics shivering for lack of warm clothing, and coal miners living in cold shacks in company towns, and steel towns that were armed camps. I saw men black-listed, driven from town to town, forced to change their names because they had dared to try to organize a union. The monthly TANF income for a family of four is less than what the average member of the Forbes Top 20 made in one second at the office. The 47% don't own stocks. They don't own anything. The so-called 'takers' have zero (0) wealth. The value of any assets owned by nearly half of the country is surpassed by their debt. The world's 200 richest individuals, ask each one his or her net worth, get the actual numbers from Forbes, and then add it all up, the total would be more than the total wealth of half the population of the world, .5 billion people . Capitalism cannot be regulated. Wishing for the regulation of capitalism is wishing for the impossible. It is as if we wished the capitalists regulate themselves, since they own and control the legislators and the regulators. There is no chance at all that capitalism can be successfully reformed. Capitalism is not benign and it cannot survive by remaining content; it must grow and grow more and more. It is like a tumor that keeps growing until it become malignant and cancerous. In 2009, the United Nations declared April 22nd “International Mother Earth Day.” It promotes the idea that humans are intricately connected to all living species and the planet we inhabit. Regardless of all the reformist and palliative discourses to the worlds environmental problems it draws attention to the capitalist system and all its forms of depredation, exploitation, abuse and contamination which have caused great destruction, degradation and disruption of Earth, putting life as we know it today at risk through phenomena such as climate change. It challenges the core belief that sustains the global capitalist order: namely, the idea that we can organise our economy around the goal of perpetual growth and profit accumulation (if capitalism doesn't report "growth" then it's in "recession"). Earth Day hopefully helps lead us towards real solutions to the urgent global ecological crises that face us. Fossil-fuel subsidies rose by almost 30 percent, to $523 billion, in 2011. Far from reducing efforts to develop fossil fuels, the top 200 companies spent $674bn (£441bn) in 2012 to find and exploit even more new resources, a sum equivalent to 1% of global GDP, a 1% that the 2006 Stern report on the economic impact of climate change concluded would pay for a transition to a clean and sustainable economy. In other words, we are doing exactly the opposite of what we should be doing. $6 trillion is what oil, gas, and coal companies will invest over the next ten years on turning fossil fuel deposits into reserves, assuming the level of investment stays the same. Reserves are defined as bodies of oil, gas or coal that can be drilled or mined economically. If countries stick to the existing internationally agreed upon emissions targets to avoid more than a 2 degree rise in the world’s temperature, if the agreements hold, the reserves in question will be unburnable and worthless. That would produce massive market losses. But the stock markets are betting against it. The 6 trillion dollar bet is that fossil-fuel companies will be allowed to keep pumping up the carbon bubble by investing more cash to turn resources into reserves, and continue booking them at full value, assuming zero risk of devaluation. It's a gamble that effectively says to government: “Nah, we don’t believe a word you say. We think you’ll do nothing about climate change for decades." They'll only believe environmental regulation when they see it. The capitalist will ride the train until just before it goes off the cliff. Each capitalist thinks they are smart enough to get off in time, but not everyone can get out of the door at the same time. That is why you get bubbles and crashes. But given major industrial nations’ failure to meet previous targets, however, it is unlikely the 2 degree limit will be respected. The target of keeping the global temperature rise to less than 2 degrees Celsius this century is slipping out of reach. "The drive to clean up the world's energy system has stalled," said Maria van der Hoeven, the 's International Energy Agency executive director, at the launch of the agency's report on clean energy progress. "Despite much talk by world leaders, and a boom in renewable energy over the past decade, the average unit of energy produced today is basically as dirty as it was 20 years ago." It’s time to leave behind fossil fuels altogether. We can, too. But it will take jettisoning the present economic system and replacing it with a rational one to do it. Yet, we dither. Taking no action even though the longer we wait to reduce emissions will mean any solution becomes impossible, that the tipping point to extinction will have been reached. Sceptics argue that this doomsday scenario might not come to pass – and they may be right. If we are that lucky! But what sort of luck would it be? Rather than the end of human existence, it would mean continuing competition and conflict over resources. “Water wars” over contested river systems, global food riots sparked by soaring prices for life’s basics, mass migrations of climate refugees (with resultant anti-migrant violence), and the breakdown of social order or the collapse of states. At first, such mayhem is likely to arise largely in Africa, Central Asia, and other areas of the underdeveloped South, but in time all regions of the planet will be affected. Essentially, climate change will wreak its havoc on us by constraining our access to the basics of life: vital resources that include food, water, land, and energy. This will be devastating. the future effects of climate change to predict the following with reasonable confidence. Rising sea levels will in the next half-century erase many coastal areas, destroying large cities, critical infrastructure (including roads, railroads, ports, airports, pipelines, refineries, and power plants), and prime agricultural land. Diminished rainfall and prolonged droughts will turn once-verdant croplands into dust bowls, reducing food output and turning millions into “climate refugees.”More severe storms and intense heat waves will kill crops, trigger forest fires, cause floods, and destroy critical infrastructure. No one can predict how much food, land, water, and energy will be lost as a result of this onslaught. But the consequences are obvious. We are now heading directly to-wards a world of chaos. Marx did not claim socialism was inevitable. He also recognised the possibility that the class war could result in the mutual demise of both capitalist and worker. The ideology of Hindutva, fuses Hinduism with Indian nationalism, is associated most closely with the BJP (Bharatiya Janata Party) and the RSS (Rashtriya Swayamsevak Sangh) and the Shiv Sena. However, the Indian National Congress, has increasingly compromised its original commitment to secularism and tried to use religion in its own interests as have the the supposed Communist Party of India (Marxist-Leninist). Hinduism is the most difficult religion to define as it does not have a common creed. Each village and region had its own gods in an India that was a society before it was a nation. Consequently, both its supporters and critics can take up any one of its various aspects and present a conception of it that is nowhere near the reality. Hinduism being an umbrella of various religious tendencies required to be defined for providing a base to Hindu religious nationalism. This is exactly what is being done by the protagonists of Hindutva. Hindutva forces are committed to preserving the hegemony of the ‘upper’ caste Hindus, this being the core of their agenda. Hence, their claim of representing all ‘Hindus’, including the oppressed castes (who form the majority of the ‘Hindu’ population) is, to put it simply, bogus. The supposedly divine commandments of the Manusmriti, which prescribes slavery for the ‘low’ castes and sanctions ‘upper’ caste, particularly Brahmin, supremacy as supposedly the will of God, have been consistently eulogised by Hindutva idealogues. The temples of India aspire to the kind of institutionalization that the churches in the West came up with. Just as the church appropriated tradition, the upper castes of India “brahminized” tradition – which means appropriated it as being the product of the priestly class. Wall Street hedge manager, David Tepper, took $1,057,692 an HOUR in 2012 -- that's as much as the average American family makes in 21 years! The top 10 hedge fund managers made $10.1 billion in 2012, which is more than enough to hire 250,000 entry level teachers or 196,000 new registered nurses. Overall, hedge fund managers make 50 to 100 times more than top athletes, movie stars, CEOs, lawyers, writers, doctors and celebrities. In a capitalist society your value is determined by what the market says you're worth. The market is not supposed to pay you billions unless you're producing enormous amounts of value for the economy. Bruce Springsteen makes millions because people like his songs, buy his records and attend his concerts. We give him money, he gives us entertainment. It is also possible to lie, cheat and steal your way to riches without producing any economic value at all. Hedge funds are investment vehicles for the super rich -- for "sophisticated" investors and institutions who have the resources to gamble for ultra-high returns. How is it possible for hedge funds, most with fewer than 100 employees, to make more money than corporations with tens of thousands of employees? Hedge funds make their money through illegal insider trading. U.S. Attorney Preet Bharara has convicted about 70 hedge fund managers for obtaining illegal tips. The billionaire Raj Rajaratnam tried, found guilty and put away for nine years. And the third richest hedge fund earner in 2012, billionaire Steven Cohn, is watching as several of his high-level employees succumb to federal indictments. He could be next. It's very hard to indite someone for insider trading. So the odds of ever getting caught are slim given that there are 9,000 hedge funds. "Given the scope of the allegations to date, we are not talking simply about the occasional corrupt individual. We are talking about something verging on a corrupt business model." explained Preet Bharara. We know for certain that hedge funds colluded with big banks to create mortgage-related securities that were designed to crash and burn, so hedge fund investors could bet against them. In fact, the hedge fund designed the bets by assembling the worst mortgages they could find to place into the securities. Goldman Sachs, JPMorgan Chase and Citigroup have paid over a $1 billion in SEC fines for misleading investors about these shoddy deals. But their hedge fund partners made billions on the insurance and didn't have to pay any penalties. You can set off rumors, offering the financial medi information that is designed to assist your betting strategies. For instance, give reporters phony info about a particular bank's solvency while you're betting against that bank. If you can help set off a bank run, so much the better, because then you can really win big. However, rumor mongering violates the law...if you're caught. Jim Cramer, over a decade ago he ran a very successful hedge fund. Years later he admitted during an online interview that he fed false rumors to his comrades at CNBC so Cramer's hedge fund could cash in on them. In high frequency trading you set up your ultra-high-speed computers right next to the stock exchanges so that you get the feed a few nanoseconds before the rest of the world. Then with the help of expert programmers you use that information to automatically jump in ahead of normal investors, so that you buy stocks that others want, jack up the price a little bit and then sell them back to these normal speed buyers. This means that when the rest of us hit the buy button on E-Trade, a high frequency algorithm has probably jumped in there before us, bought the stock we want, and is selling it back to us for a few pennies of profit. They do this millions of times a minute, racking up from $5 to $20 billion a year. It's like a hidden private sales tax that goes into the pockets of high frequency traders. Pension funds and 401ks are fleeced as well. And the list goes on and on. Some maneuvers are ethically challenged but legal. Other's are borderline. And some are flagrantly in violation of law. But in any event, most Americans would call it cheating. And to add insult to injury, hedge funds have a special tax break called "carried interest" which allows the richest of the rich to pay a lower tax rate than the rest of us. The whole system of capitalism is designed to scam (steal) from the rest of us. The more bubbles, the greater volatility, the more they are able to steal. It is in their interests to manipulate markets, control access to markets, etc. They destroy value rather than create value. Their criminality won't be challenged or ended. The 1,000 richest people in Britain and Ireland share a wealth of £450bn. The combined wealth of the top 200 people in list is £318.2bn which is more than eight times the figure 25 years ago. Alisher Usmanov has topped the Sunday Times ranking of the wealthiest people in Britain and Ireland with a fortune of £13.3bn. He has a 30% stake in Arsenal football club, owns Russia’s biggest iron ore producer Metalloinvest, a stake in internet business mail.ru and a holding in mobile phone operator MegaFon. He owns Sutton Place in Surrey, the former home of the late oil baron J Paul Getty, as well as a £48m mansion in north London. The Texas explosion has been overshadowed by the Boston Marathon bombing. Has those who caused the explosion in Texas that killed at least 14 and 160 people injured that leveled a four-block area around the fertilizer plant been detained and interrogated and castigated for their crime by the media? No. It is virtually certain that he will not be going to prison, no matter how wilful safet negligence proves to be have been at the fertilizer plant. But, of course, the difference is that he did it in the interests of profit while the Boston bombers did it for a prophet. According to the Wall Street Journal the risk-management filed by the company said the plant had no alarms, automatic shutoff system, firewall or sprinkler system. The Occupational Safety and Health Administration had not inspected the plant since 1985, when it was cited for five serious violations and fined $30. Yes, $30! The company has also been fined in recent years, including by the Environmental Protection Agency and the U.S. Pipeline and Hazardous Materials Safety Administration for not having filed a risk-management plan and for safety violations, respectively. When are we going to start holding corporate executives accountable. No one from BP went to jail when the Deep Water Horizon platform blew up, killed several workers, and ended up poisoning the Gulf Coast for who knows for how long. The Massey coal mine owners got away scot-free. The ones that pay for the greed (with their lives, homes and family members that were also killed/injured), as usual, are members of the working class. Worker that only received wages for selling hour long parts of their lives (punched neatly on time-cards) so they can afford to feed and house themselves and their families. They die for their meagre wages whenever there is a cave-in at a mine or an explosion at a factory because those at the top think safety costs are too much to invest in. The upper class are above the law. Laws apparently only apply to the masses below that do all the work that creates the wealth being syphoned almost entirely towards the idle rich and their bought politicians. In case we forget, in 2010 an average of 13 workers were killed on the job every day. Humanity produces more food today than ever before and the planet is capable of growing tremendously more food than we need. The potential is out there. According to a study by the International Food Policy Institute, the world can produce a maximum of 72 billion tons of grain on current farmlands. We only currently produce 2.6 billion tons. 27 times more food than the planet grows today! On its surface, the Internet appears to be a free-for-all, a place to communicate, exchange information or just read news. But the truth is that in the Internet is not an open space. It offers the illusion of freedom, even though our rights to access, create, distribute and secure information remain squarely in the hands of a few private companies. Today, 13 of the 30 largest publicly traded corporations in the US are Internet-related companies. To get a sense of what a big deal that is: only two of the top 30 are banks. Yet we always talk about how banks run the world. The infrastructure in the United States are all owned by a handful of private companies, such as Comcast and Time Warner. The platforms we use on the Internet, such as Facebook and Google, are also run on servers owned by those private companies. We relinquish any rights we have the moment we sign up for any of these companies' services. The Bill of Rights does not apply to this privately owned space, nor do these companies honor those rights. Our data and information is theirs to package and sell, censor and limit. Technology does have a great deal of influence on a society, but the way society is structured, the political economy of the society, has every bit as much influence as - generally more influence - the technology. It shapes the technology. 25% of all Internet time now is spent on Facebook which is like a walled garden. You have to be a member to participate. Facebook sets it up as a walled garden, because they want you in there and they want you to stay there. Over a billion people have accounts. That's an enormous number, and it invites some very serious questions. How does Facebook make its money? The same thing could be asked of Google. You don't pay for it; you basically get services for free, but why do investors invest in it? Where is the profit coming from? If you get something for free, you're not the customer. You're the product. So what Facebook gets and what Google gets - they're very similar - is that they know everything you do [while using their services]. It's their private property; they can do with it as they please, and that is an enormous amount of information, and their primary interest in doing this is commercial. They're going to take that information and sell it to other firms so they can use it to sell other stuff, or to politicians to sell ideas, or whatever. That's where they make their money. There's really no protection for you, because these firms are so powerful. The government protection amounts to mild wrist-slap fines, or a call for self-regulation by these firms. It's not in Facebook or Google's interest to advertise the fact that this is how they make their money. That's the last thing they want you to know. The genius of the Internet was that everyone would have access to material that once only a select few could get. 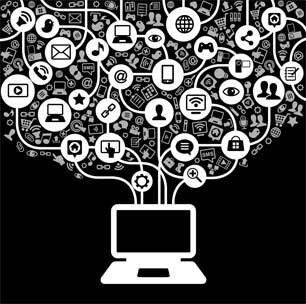 People can now all go to a web site and share material; it could create a global community. But what's happening is this information on people that we're giving to the Internet instead is channeling us into what we buy and what we click on. That undermines the Internet, which was to bring to you to a world you had no chance to see otherwise. Now, fueled entirely by advertising, instead, in keep you in a bubble of like-minded people. Another problem is that those Internet cartels work very much hand in hand with government to the point that the Internet has become a military weapon and nations now engage in cyber warfare. Vast tracts of land in Europe are being "grabbed" by large companies, speculators, wealthy foreign buyers and pension funds in a similar way to in developing countries, according to a major new report. Chinese corporations, Middle Eastern sovereign wealth and hedge funds, as well as Russian oligarchs and giant agribusiness have all stepped up land acquisitions in the past decade in a process that the report says and concentrating agriculture and land wealth in few hands. Chinese companies have moved into Bulgaria on a large scale and Middle Eastern companies are now major producers in Romania. Half of all farmland in the EU is now concentrated in the 3% of large farms that are more than 100 hectares (247 acres) in size. In some EU countries, land ownership is as unequal as it is in Brazil, Colombia and the Philippines. Britain has some of the highest concentrations of land ownership anywhere in the world, with 70 % of land reportedly owned by less than 1% of the population. In Ukraine, 10 giant agro-holdings now control about 2.8m hectares. One oligarch alone controls more than 500,000 hectares. In Germany, 1.2m land holdings in 1966-67 shrank to just 299,100 farms by 2010. Of these, the land area covered by farms of less than two hectares shrank from 123,670 hectares in 1990 to just 20,110 in 2007. In Andalusia, Spain, the number of farms has dropped by more than two-thirds to under 1m in 2007. In 2010, 2% of landowners owned half of the land. In Spain, 75% of all the subsidies were taken by just 16% of the largest farmers. In Italy, 33,000 farms now cover 11m hectares. In Italy in 2011, 0.29% of farms accessed 18% of total CAP incentives, and 0.0001 of these, or 150 farms, cornered 6% of all subsidies. In Hungary in 2009, 8.6% of farms cornered 72% of all agricultural subsidies. In France more than 60,000 hectares of agricultural land are lost each year to make space for roads, supermarkets and urban growth. "Land needs to be seen again as a public good. We must reduce the commodification of land and instead promote public management of this common resource on which we all depend," said Jeanne Verlinden of the European Co-ordination Via Campesina. In the wake of the Boston Marathon bombing Obama said, "Any time bombs are used to target civilians, it is an act of terrorism." 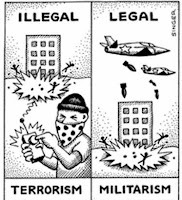 US law defines terrorism as "the unlawful use of force and violence against persons or property to intimidate or coerce a government, the civilian population, or any segment thereof, in furtherance of political or social objectives" (28 CFR Section 0.85). Why is there so much hatred for Thatcher, so much vitriol ? Why is the hatred of capitalism personalised in the figure of Thatcher ? She was only the Prime Minister who “presided over the operation of capitalism during the worst part of the slump phase of its economic cycle”. What she did was to add a personal touch with her espousal of 'Victorian Values' to her administration of capitalism, her own “sneer of cold command”. In May 1979 there is the sheer deceit (with hindsight) of her opening words on entering no.10 Downing Street: “Where there is discord, may we bring harmony. Where there is error, may we bring truth. Where there is doubt, may we bring faith. And where there is despair, may we bring hope.” She brought discord, disharmony, more despair, and no hope for the working class. She was paraphrasing St Francis of Assisi and there is a grim irony because St Francis and his Franciscan Order advocated total renunciation of wealth and giving all possessions to the poor as Jesus said in Matthew 19:21: “sell what you possess and give to the poor”. Her 'Victorian Values' are found in the book Self Help by Samuel Smiles in 1859 which originated in a moralising speech called The Education of the Working Classes. Smiles argued that thrift, self help, frugality, prudence would lead to wealth and earthly rewards. One reviewer wrote "It's a brutal book; it ought to be burnt by the common hangman. Smiles was the arch-Philistine, and his book the apotheosis of respectability, and selfish grab". Keith Joseph wrote a foreword to and edition of the book in 1986. Socialist writer Robert Tressell in The Ragged Trousered Philanthropists wrote it was “suitable for perusal by persons suffering from almost complete obliteration of the mental faculties”. Thatcher felt that poverty was essentially self-inflicted, a matter of a lack of character, and the 1980s saw the re-introduction of the Victorian concept of 'deserving poor' and 'undeserving poor' which we are living with today in Cameron's capitalist Britain. Thatcher was from the social class of the petty bourgeois, the lower middle class who 'ape' the bourgeoisie. Petit-Bourgeoisie translates as “little city-folk” who espouse conventional values, conservative attitudes with an emphasis on 'keeping up appearances'. Jonathan Miller referred to Thatcher's “odious suburban gentility” while Mary Warnock identified the “patronising elocution voice, neat well groomed clothes and hair” while Angela Carter said “it is her voice that sums up the ambiguity of the entire construct. She coos like a dove, hisses like a serpent, bays like a hound in a contrived upper-class accent”. There is a fear of and dislike of the working class, a fear of slipping into the working class. Thatcher represents the provincial lower middle class, she is “Alderman Roberts the Grocer's daughter”. Alderman Roberts “as owner of the means of production he is a capitalist; as a labourer he is his own wage- labourer". (Karl Marx: Theories of Surplus Value). Ultimately the petty bourgeois has interests in common with the bourgeoisie. Thatcher said in the News of the World, September 1981: “my policies are based on things I and millions like me brought up with; an honest day's work for an honest day's pay; live within your means; put by a nest egg for a rainy day; pay your bills on time; support the police”. Her homely economics are evident when she said “Any woman who understands the problems of running a home will be nearer to understanding the problems of running a country”. Her famous statement on society to Woman's Own magazine in September 1987 summarises a lot of Thatcher's personal views: “They're casting their problem on society. And, you know, there is no such thing as society. There are individual men and women, and there are families. And no government can do anything except through people, and people must look to themselves first. It's our duty to look after ourselves and then, also to look after our neighbour. People have got the entitlements too much in mind, without the obligations, because there is no such thing as an entitlement unless someone has first met an obligation"
The Shelley poem Ozymandias is an apt description of her legacy for Britain: “Look on my works, ye Mighty, and despair! Nothing beside remains”. Jonathan Miller saw that Thatcher's Britain was “an ugly, racist, rancorous little place from which kindness had evaporated” and this is where we live today in capitalist society. The state of Israel enters its 65th year this week. The Zionist aspiration to provide a safe secure place for Jews to live has been a failure. Israel is probably the most dangerous country in the world for Jews. Unlike some on the Left, the Socialist Party doesn’t demonise Israel, and doesn't think it's a fascist state. The Socialist Party’s anti-Zionism is based on opposition to all states, all borders and nations; to all the rulers and exploiters of the world. As socialists, we are opposed to the idea that the rulers and ruled within a nation have any interests in common. Therefore, socialists Israeli nationalism (Zionism) just we reject Palestinian nationalism. Both ordinary working-class Israelis and Palestinians are pawns in power struggles. We view Israel as one capitalist state among many. All nation states are compelled by the reality of capitalism to try to assert themselves on the world stage. The only difference is their capacity to do so. Israel may be in a position to largely dominate Palestine but calling for Palestinian independence is to call for the independence of the Palestinian bourgeoisie to exploit workers in Palestine. Workers should certainly abandon the fight for independence. It's a struggle that has absolutely nothing to do with them. Firstly, because "independence" is a myth anyway. The Palestinian state is too small to survive on its own and could only exist with the assistance of a stronger more powerful guardian - just as Israel does under the protective umbrella of the United States. The difference between Israel and Palestine would be that Israel is currently occupying Palestine. Apart from that, The Socialist Party would argue that they are two bourgeois states which are both enemies of the working class. We consider cheer-leading whichever faction happens to be resisting is not backing anti-imperialists, but supporting weaker imperialists. The establishment of a new capitalist state is absolutely no benefit for the working class who, in order to advance its own class interests has to destroy all nation states, wage labour, commodity production, etc. Divine Intervention in the Economy? What did they fight for? Now we are seven – or are we?